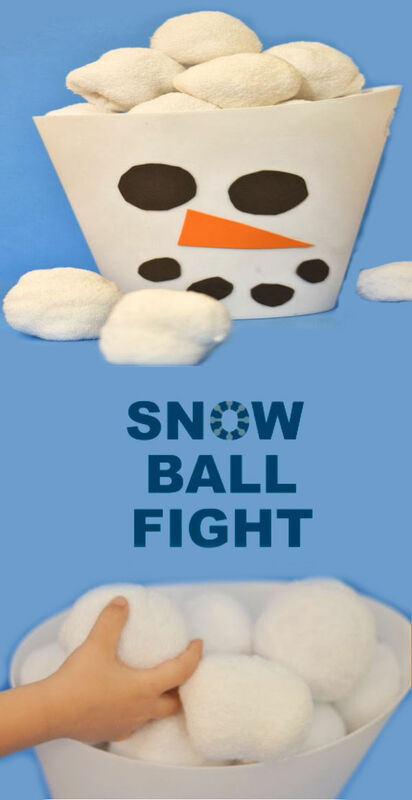 Why not let them have an indoor snowball fight? Don't worry, it's not messy. 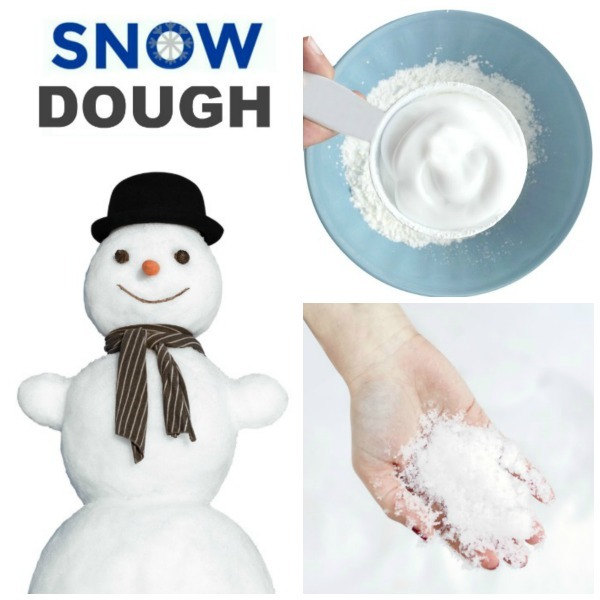 Read on to see how we made our own snowball fight game. This kit only took a few minutes to put together, and the whole family has had tons of fun with it! 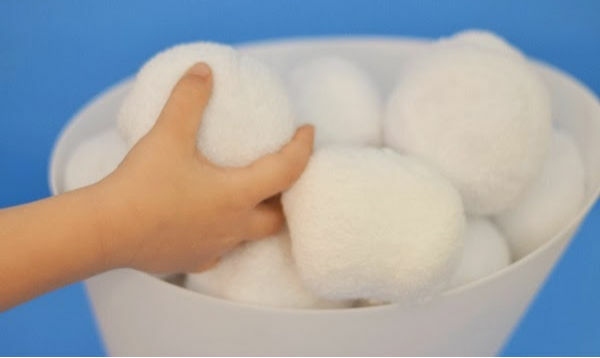 Are you ready to have an indoor snowball fight? 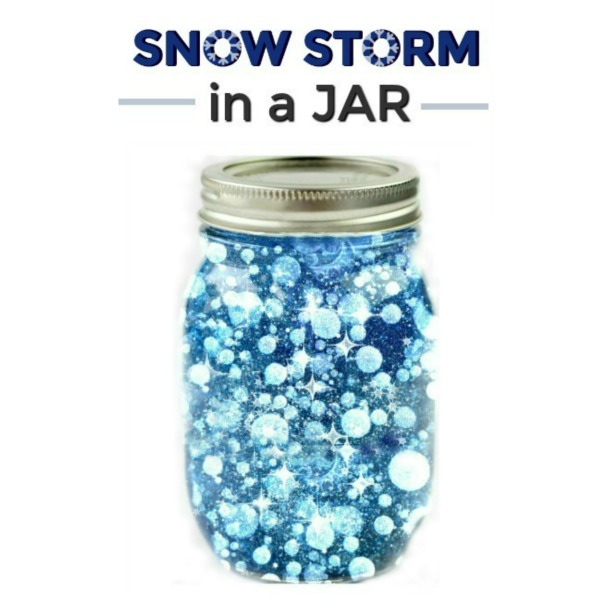 To make our kit I purchased a white pail from the Dollar Tree. 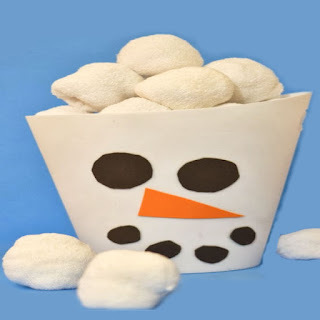 I then cut snowman face shapes from craft foam and glued them to the bin in the shape of a snowman. The only other thing I had to do was take white socks and roll them tightly into balls. 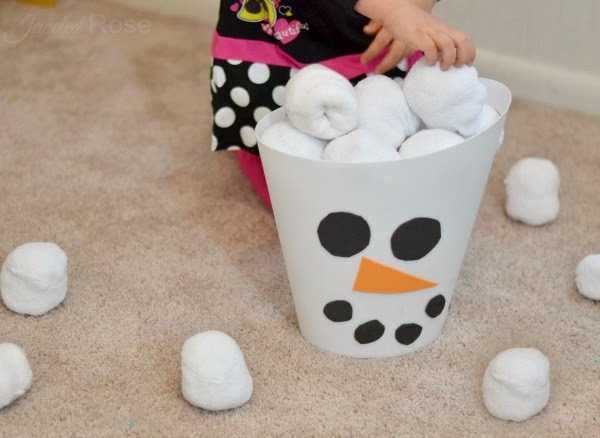 Rolled socks make perfect indoor snowballs! I purchased a large package of white socks for our kit, but you could just as easily use socks that you already have. 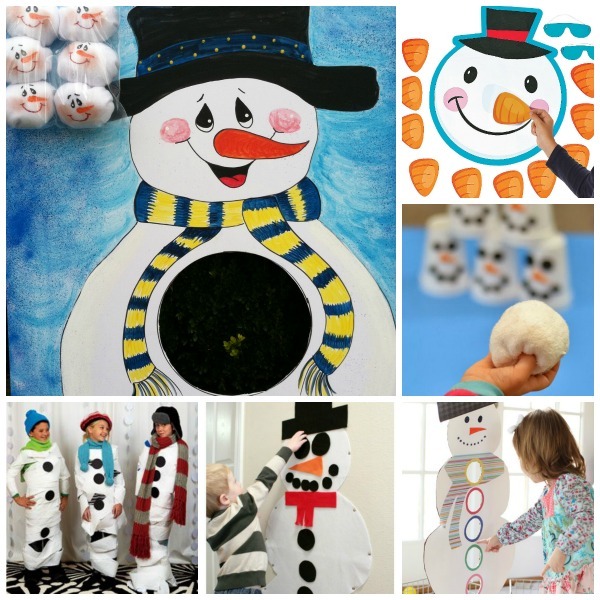 The whole family has so much fun with this easy to make, winter game! Snowball fights are even more fun when warm in cozy indoors if you ask me. 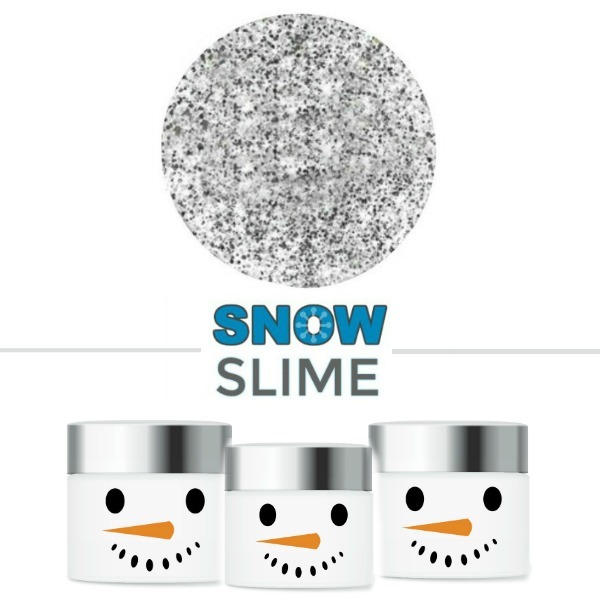 The snowball flight kit cleans up and stores easily, too! 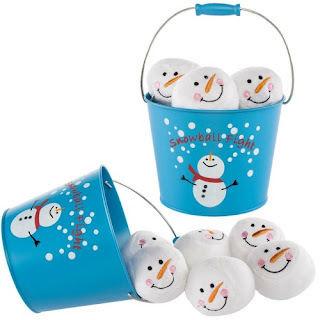 If you don't feel like making your own indoor snowball fight kit you can purchase the one pictured below on Amazon here. The one pictured is so cute it tend to go out of stock. 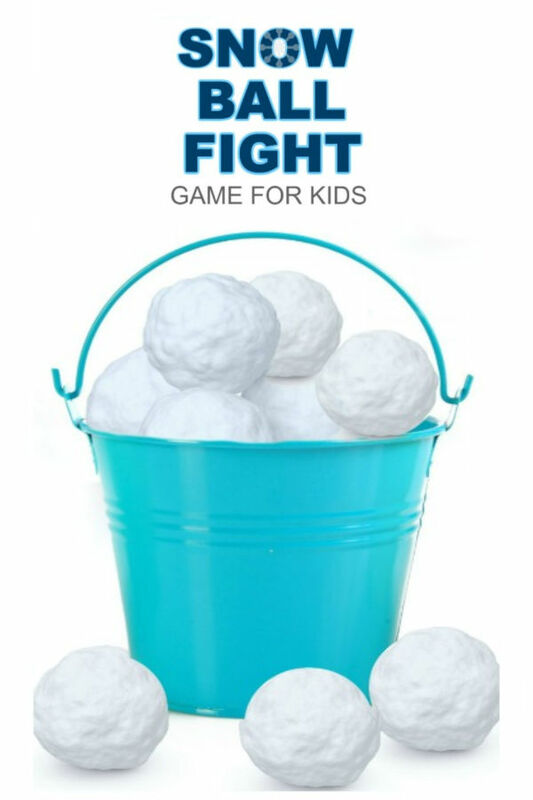 You can also purchase an indoor snowball fight kit on Amazon here.